Drum roll please. Ladies and gentlemen, I present to you a man who love to save situations and keep things clean, ofcourse is no other person than Vincent Enyeama, please do give a hundred round of applause if possible. Having gone through a warm introduction, let’s have a journey in the life of this veteran as he clocks 100 years ‘old’ on national colours. He joined Heartland FC then Iwuanyanwu Nationale just after three seasons at the former, Enyimba. He crossed the borders of the country and joined Hapoel Tel Aviv In his first season with Bnei Yehuda, the team qualified for the final of the Israel State Cup and achieved fourth place in the Israeli Premier League, which qualified the team for the 2006 UEFA Cup. He was absolutely fantastic as a player in Israel, he won the “best player of the year” award in the 2008/09 season and was spectacular as the best choice for penalty kicks. According to the books, he scored his first goal via the penalty spot on 18 August 2010 against Red Salzburg in the Champions League qualifiers and the season placed him under the spotlight of the press as he was well spoken of. 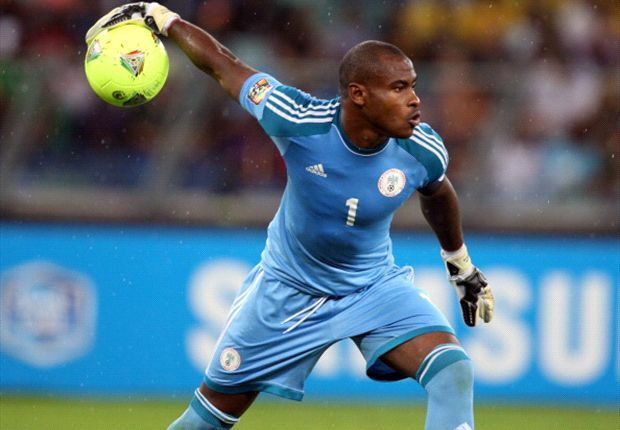 Thus, in 2012 Enyeama moved back to Israel on loan to Maccabi Tel Aviv and won the championship as he appeared 27 times in the Israeli Premier League. René Girard picked Enyeama as his first-choice goalkeeper in the 2013–14 Ligue 1 season ahead of Steeve Elana, who had been the first-choice goalkeeper when Rudi Garcia was the club manager. With the help of his two centre-backs, Marko Baša and Simon Kjær, Enyeama kept 11 consecutive clean sheets in Ligue 1 matches during the first half of the season. 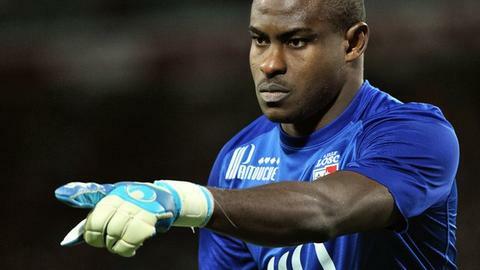 On 8 December 2013, Enyeama finally conceded a goal after playing 1,062 minutes of Ligue 1 football in an away match against Bordeaux, during which he was beaten by Landry N’Guémo’s deflected strike in the 27th minute. He thus came within 114 minutes of equalling Gaëtan Huard’s Ligue 1 goalkeeping record, set in 1993, of playing 1,176 minutes without conceding a goal. He appeared for Nigeria for the first time 2002 in against Kenya and was then selected to be part of the FIFA 2002 World Cup squad hosted by Korea and Japan alongside then number one Ike Shorunmu and he performed greatly has he kept a clean sheet against England stopping the likes of David Beckham, Paul Scholes from getting a goal. Since Shorunmu’s retirement he has become the number one between the sticks. helping the Super Eagles to third place finishes in the 2004, 2006, 2010 Africa Cup of Nations tournaments, and captaining the team to victory of in the 2013 edition. He has also participated in the 2010 and 2014 FIFA World Cups, and the 2013 FIFA Confederations Cup. All the helping the Super Eagles to third place finishes in the 2004, 2006, 2010 Africa Cup of Nations tournaments, and captaining the team to victory of in the 2013 edition. He has also participated in the 2010 and 2014 FIFA World Cups, and the 2013 FIFA Confederations Cup. To flash back to 2006 where he saved Nigeria from the hands of the Cathage Eagles-Tunisia, in the quarter-finals in Egypt, in 2010 when Angola hosted, he was also clinical as he help his country to progress over Zambia in the quarter-finals of the tournament. to 2013 where he was part of the squad that conquered Africa. Most fascinating, he topped the FIFA list for a period of two games on the Castrol Index during the FIFA World Cup in Brazil. Having read a bit of a world class player, goal-keeper and captain, lets rest our applause and look towards more that is coming before us. our legend lives.